The dream took me by surprise. I haven’t had one of Kathy since she died in 1971. 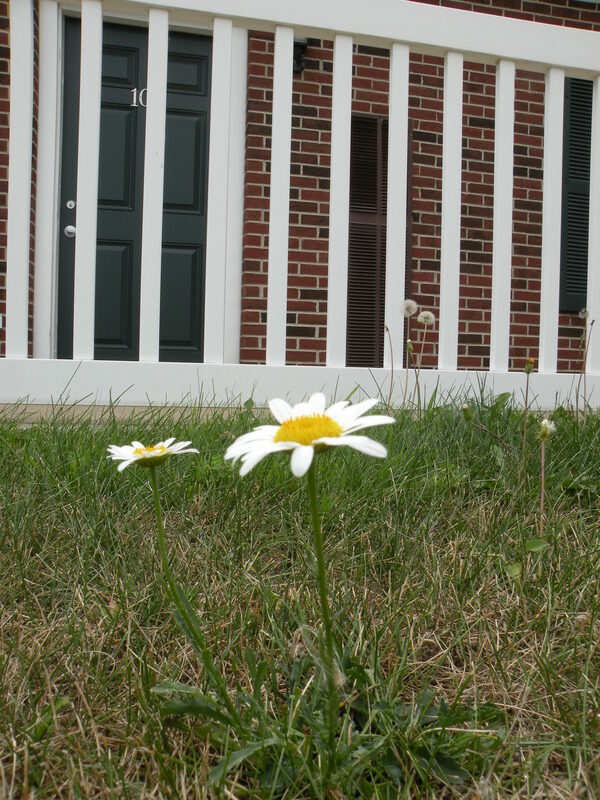 Seeing the daisies in front of my apartment a few days before was unusual but to have a dream of her was unheard of. When I woke up I felt paralyzed. I replayed the visions again and again so I wouldn’t forget them. She was so real, her beautiful features crystal clear. I was thankful it wasn’t a nightmare. For years I had terrifying dreams. Sleep pushed me into a world of fear and not rest. So many times I frantically looked for a place to hide as someone chased me. Visions were distorted and grotesque. I would lie in my bed trying not to fall asleep because I knew what would happen if I did. I wanted these dreams to stop and decided to make it a matter of prayer. In 1997 they discontinued. I rarely dream now and if I do, they are not nightmares. The dream of Kathy took me by surprise and it’s one I want to remember. I was at the Franklin Ski Area, it was winter and a snowmobile race was going on. Someone was standing next to me, she was a woman but I didn’t recognize her. Turning towards me she said, “Kathy’s here.” My heart instantly beat faster. I turned to her and asked “Where?” Without speaking she pointed to the right side corner of the lodge. “I see her sometimes” she said. I looked over and there she was, standing peacefully as if nothing had happened. She was older but not old and her skin was flawless. Her hair was still long but modern, cut in layers. She was wearing jeans and a coat. Her big brown eyes connected with mine. For some reason I didn’t run to her, almost like it was forbidden. I slowly raised my hand and waved to her. With a beautiful smile she waved back. It was then she came running towards me. At that moment I knew it was okay to run to her. We met in the middle and embraced. As we held each other I whispered in her ear, “I love you and miss you.” She didn’t say a word but continued to hold me. The hug lasted a long time, a confirmation that she missed me too. We walked to an old log and sat down. I had anticipated this moment for a long time. I felt complete having her by my side. I talked with her but she never spoke a word. Her expressions reassured me that she understood everything. Not once did I have the desire to ask her what had happened. Her presence was more about contentment and happiness, just like the dream in 1971. Without saying a word it was obvious she possessed a peace beyond anything I could obtain here on earth. I wanted her stay but knew in my heart she couldn’t. Her eyes beckoned me to understand and with a smile filled with more love than I have ever known she was gone.